Where did you get the 2 Point 4 Children DVDs? I would love to know. He's included programmes recorded and collected from non-legal sources. They're not available to buy anywhere. Where was that from? That's very cheep! My apologies,i had to create a different account,because I forget all the details of my account,after long time! I notice that recently a miracle happened,and the "THE TOP SECRET LIFE OF EDGAR BRIGGS" is out on DVD!!!!!!!!! 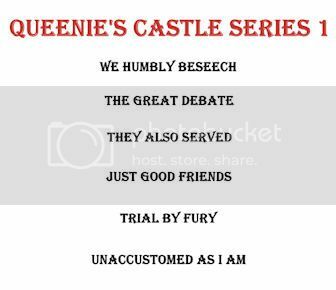 So please,before I buy it,and times are harder now,I need to ask this question again,about the specific episode I was looking a few years ago! "Some agents have a mission to "help escaping" a russian political refuge,member of a russian ballet theatre[or something like that]! But by a mistake the russians leave the airport,taking a wrong "way" to London,and one of the agents run to a near bar,where the leader was waiting,and start to "scream" to the leader [because of the loud music inside the bar]! 'the russians landed to the airport,going to London,and no one can stop them"!! The people thought about a russian invasion and start to panic!!"" So please could someone confirm, if that episode is included on Edgar Briggs? It's 100% better than my Greek ! Well,Greek language,is very difficult,even for us,so is quite normal,that only a few people speak Greek,around the world! But on the other hand,in Great Britain,there is Oxford's University Oxford,that is the first and the best,in translating Ancient Greek books! Since 1980 we use this translations as a reference! Just received the complete Dangermouse box set of 10, which at the end of last week was advertised by Amazon as being reduced from £19.27 to £10.70, and now already it is back up to £19.27. Did someone make a mistake at Amazon? So I've bought it for nearly half price - Get in there! 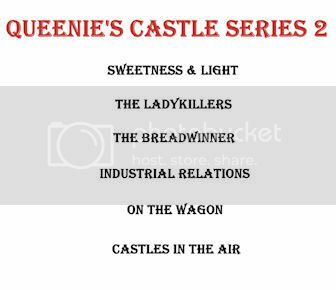 Have now acquired the complete set of Queenie's Castle having bought a mint Series 3 from someone on eBay for £3, which is not available on YouTube, but the first two are in their entirety. So, the lot for well under a fiver! Just received the Billy Pearce Live at the Grand Theatre Blackpool, mint condition £6 post- paid off eBay - absolute bargain! Watched the first 15 mins. just now - hysterical! Not stop jokes from the moment he walked on. Not many comedians can do this rapid patter where you a laughing so much you miss the next joke. A much underrated comedian in my eyes. They showed the first episode on TV a while back, it was OK, but rather dated.